Scotch whisky specialist in Frankfurt, Germany known for its ‘whisky seasons calendars’. Whisky Spirits is a retailer in the heart of Sachsenhausen, a lively quarter on the south shore of the river Main, close to the city centre of Frankfurt. The cosy shop offers its clients not only a relaxing tasting couch, but also more than 1,500 whiskies from all around the globe, as well as a wide range of rums and gins. The shop released its first own-label Scotch bottling in 2008: a ­7-year-old Port Charlotte Single Cask with a rum finish. A ‘Whisky Seasons Calendar’ was produced in 2013, which consisted of a series of 12 different, personally selected casks from all areas of Scotland, one for each month of the year. A monthly calendar was printed on the label, allowing the owner to tick off each day that they had a dram. Whisky Spirits’ most recent own-label bottling was a 10-year-old Bruichladdich that was offered during Whisky Time Frankfurt 2016. 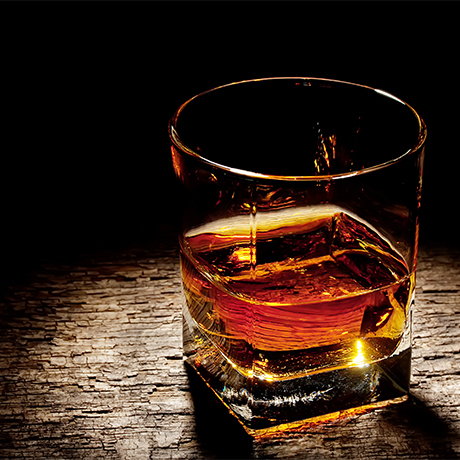 When Gregor Haslinger founded the company in 1998, it was the only whisky shop in Frankfurt. It was originally called Malt Whisky Spirits, but was soon renamed. After four years the shop expanded and added a tasting room where up to six tastings are held each month. In 2004, a second shop was opened in one of the most touristic areas of Frankfurt – close to the Roemer – but was sold to an employee after a few years. In 2010, the shop became one of only six ‘Ardbeg Embassies’ in Germany and, in 2012, it was named ‘Best Whisky Shop in Germany’ by the annually-published German Whisky Guide. In 2013, the company held its first annual in-house trade fair called Whisky Time Frankfurt, which has become a popular fixture in the Scotch whisky calendar. Whisky calendars complied by founder Gregor Haslinger, a keen photographer, were also released in 2015 (celebrating 200 years of Ardbeg) and 2017 (celebrating 200 years of Lagavulin). In late 2016, Whisky Spirits became one of only five official dependencies of the Scotch Malt Whisky Society (SMWS) in Germany.